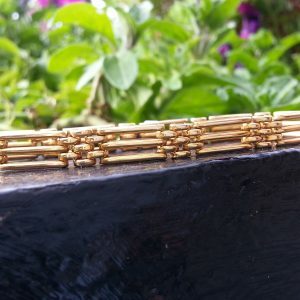 18ct yellow gold bracelet circa 1940’s. 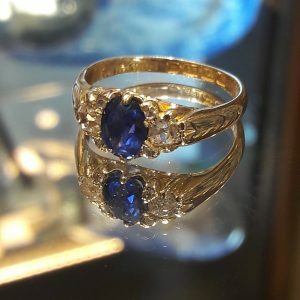 Signed Chanteloup. 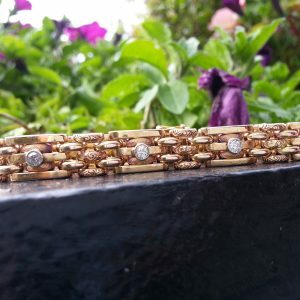 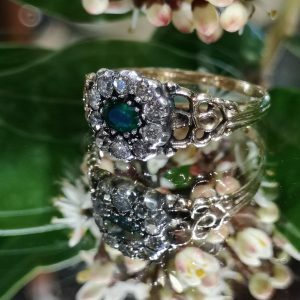 Antique bracelet with 5 diamonds in 18ct (44.5grams). 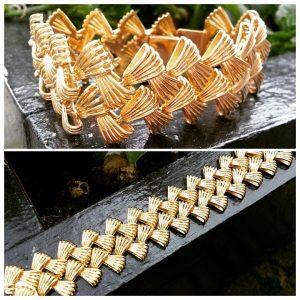 Antique 15ct gate link bracelet. 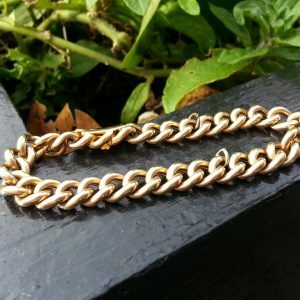 15ct Rose Gold link bracelet. 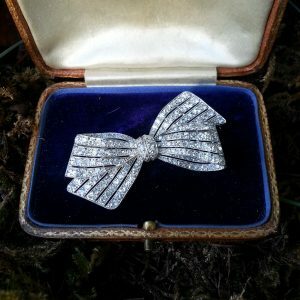 Platinum diamond bow brooch in fitted box. 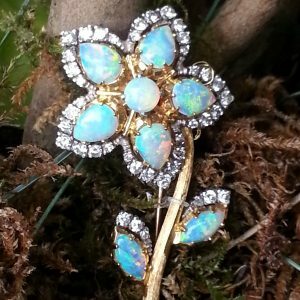 Victorian Opal and diamond flower brooch in gold. 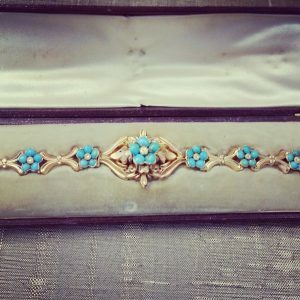 Victorian gold turquoise bracelet in fitted box. 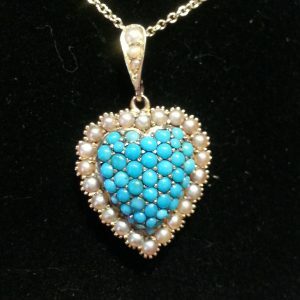 Victorian turquoise and seed pearl heart pendant with chain. 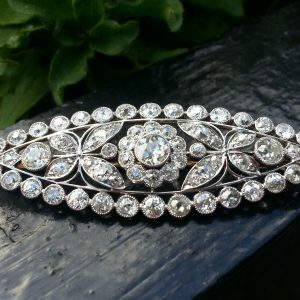 Amazing Art Deco diamond brooch in platinum and 18ct gold. 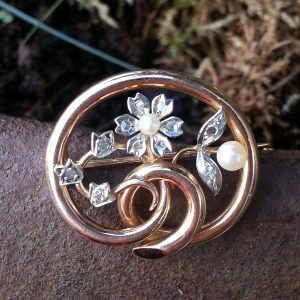 Antique Rose gold brooch with seed pearls and old rose cut diamonds. 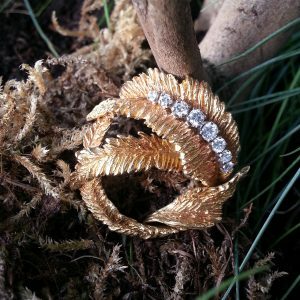 8ct Yellow gold circle leaf brooch with diamonds. 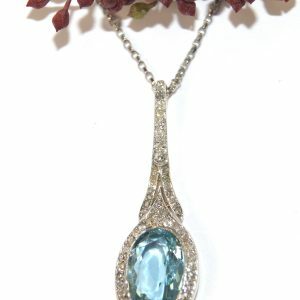 faceted aquamarine surrounded by diamonds drop pendant. 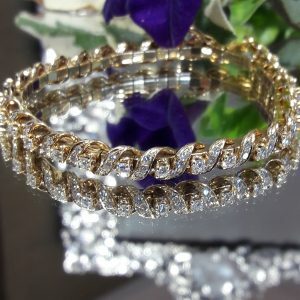 Platinum and yellow gold. 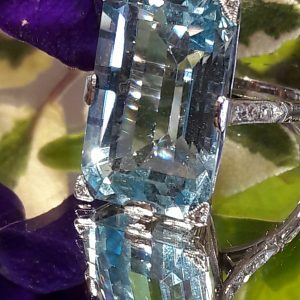 fabulous aquamarine with diamond set corners to diamond set shoulders and platinum shank.